Choosing the right preschool is an all-important task for many families, and it’s easy to understand why: the fastest rate of brain development in our lives occurs during that critical time between birth and when a child reaches three years of age. A good preschool program features caring and experienced staff members, a safe environment, and all sorts of activities that aid in the development of mental, emotional, and social skills for students. One such activity is dramatic play. 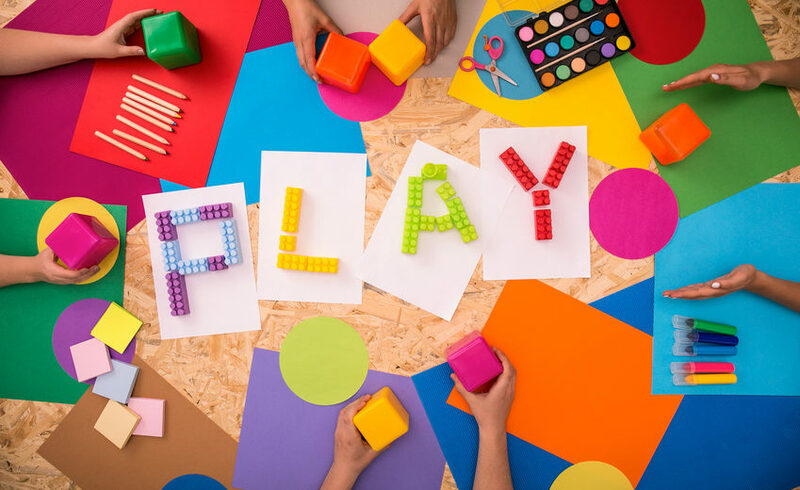 Despite plenty of supporting research, many parents may be inclined to dismiss or overlook the importance of dramatic play, but it can actually help children develop essential skills that they’ll use for their entire lives. Even if you’ve never heard the term “dramatic play,” you probably already know what it is. It’s essentially playing pretend. Children take on roles and act out real life or even fantasy situations. Dramatic play can be either structured (wherein children are given specific scenarios and characters to act out) or unstructured (allowing children’s imaginations to run wild and come up with their own pretend circumstances). What are the benefits of dramatic play? How to problem-solve: Conflict resolution is a huge part of dramatic play, as disagreements will undoubtedly arise during the process. But this environment also gives them a chance to work through their disagreements and come up with a compromise in a creative way. In structured dramatic play, you can even come up with a problem that children can solve by working together. They’ll also naturally learn how to take turns and share. How to empathize: During dramatic play, children have the opportunity to imagine themselves in someone else’s shoes. This can help them better understand others and picture an experience outside their own — a skill that many young children don’t have at first. This can help drive home moral lessons and even build self-esteem. How to use language: Playing pretend allows children to try out words, phrases, and voices — all of which are important communicative tools they’ll use throughout their lives. By playing with their peers in this kind of setting, children will come to understand the power of language. They’ll learn that just one word can change the meaning of a phrase or even an entire story. They’ll also begin to understand the connection between written and spoken language, which can encourage them to be avid readers later on. How to express themselves: Dramatic play is a fantastic emotional outlet. This is important during a young child’s life as they aren’t yet able to internally process their thoughts and emotions. If they’re dealing with something scary or sad, a child can use dramatic play to express themselves and play out scenarios in a healthy way. It also gives parents and teachers the opportunity to encourage kids to be creative. Rather than repressing their emotions, children can let it out and find new favorite ways to play. How do I know that our preschool program embraces dramatic play? Choosing the right preschool can be difficult, but it’s actually pretty easy to tell whether your program utilizes dramatic play. Bergen County preschools that have play kitchens, stages, puppet theaters, or opportunities to play dress up, move and dance, sing, or play music are going to be facilities that embrace the concept of dramatic play. Many classrooms will have a pretend area with fake food and other props that’s perfect for structured or unstructured play. When trying to decide if you’re choosing the right preschool, make sure to ask staff members about dramatic play opportunities. Ultimately, choosing the right preschool for your family might not be the easiest of tasks. But educational child care for young children should involve quite a bit of play — that’s often how young minds learn! To find out more about the opportunities for dramatic play at Lily Pond Country Day School, get in touch with us today.